Ahsoka & Padmé Have a Surprise Guest for Dinner in ‘Forces of Destiny’ – My write-up and photo gallery of the Forces of Destiny episode, ‘The Imposter Inside’. The Star Wars Show Goes Behind the Scenes of ‘Forces of Destiny’ – The Star Wars Show hosts pay a visit to Ghostbot to see how Forces of Destiny was brought to life. 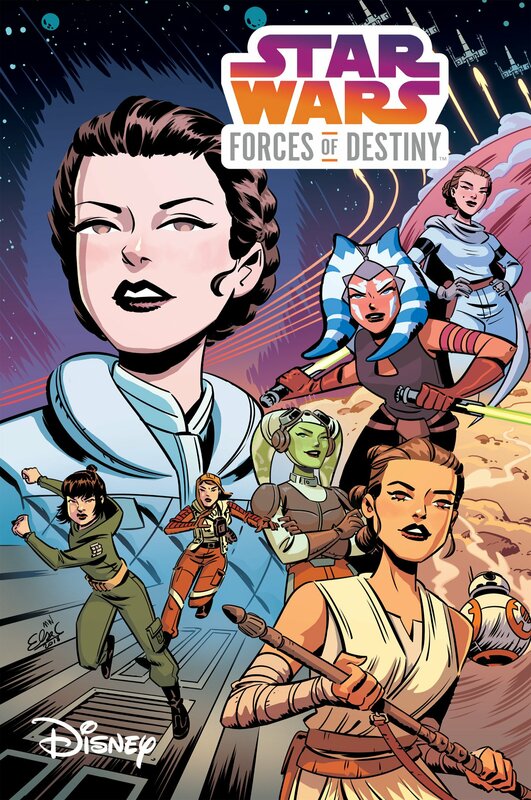 ‘Star Wars: Forces of Destiny’ Comic Books Coming in January 2018 – News about the upcoming Star Wars Adventures: Forces of Destiny five-part comic series. Preview Reel for the ‘Looking for Leia’ Documentary – Watch an 11-minute preview reel for this upcoming celebration of female Star Wars fandom. 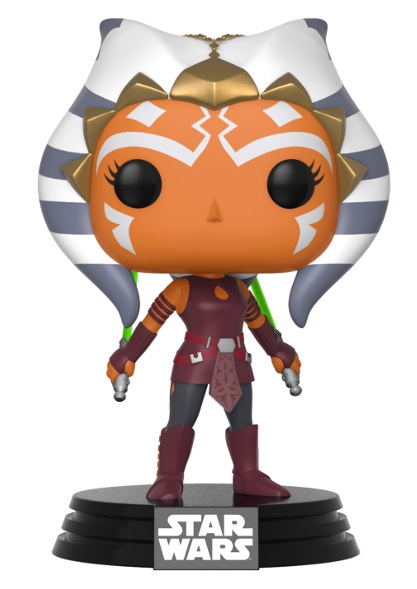 Holographic Ahsoka Funko Figure and T-Shirt Coming to Hot Topic – Information about some new glow-in-the-dark Hot Topic exclusives. Anakin & Ahsoka Hot Wheels Car Coming to Walmart in Late 2017 – Information about a Walmart exclusive Hot Wheels car featuring Skyguy and Snips. 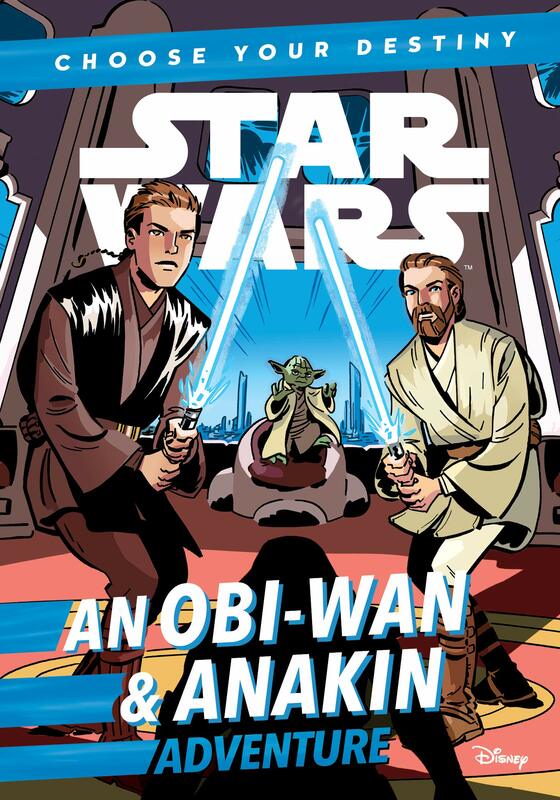 A Look At Anakin And Ahsoka’s Friendship Through Fanart (Movie Pilot) – C.J. 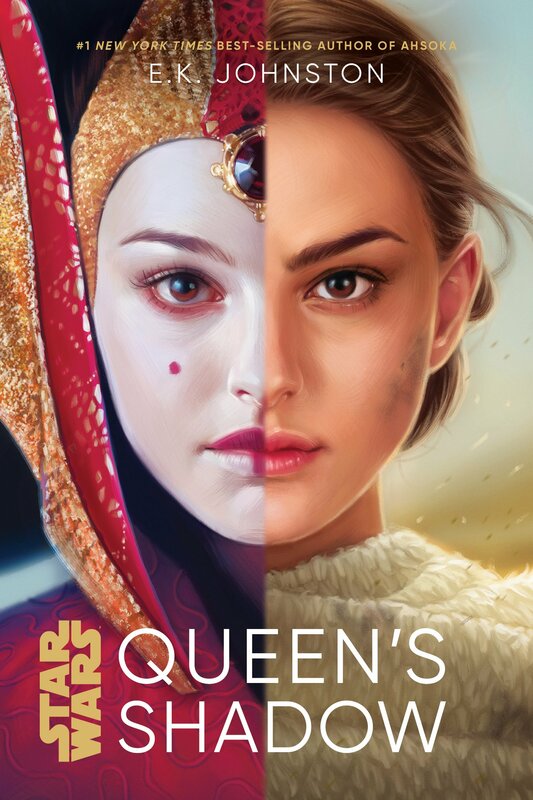 Hawkings examines how artist Renny08 explores Anakin and Ahsoka’s relationship through fan art. New Forces of Destiny Glam Shots (Yakface.com) – Collectors website Yakface shared a few new glam shots of the Ahsoka Tano, Padmé Amidala, Luke Skywalker, and Yoda figures from Hasbro’s Forces of Destiny range. 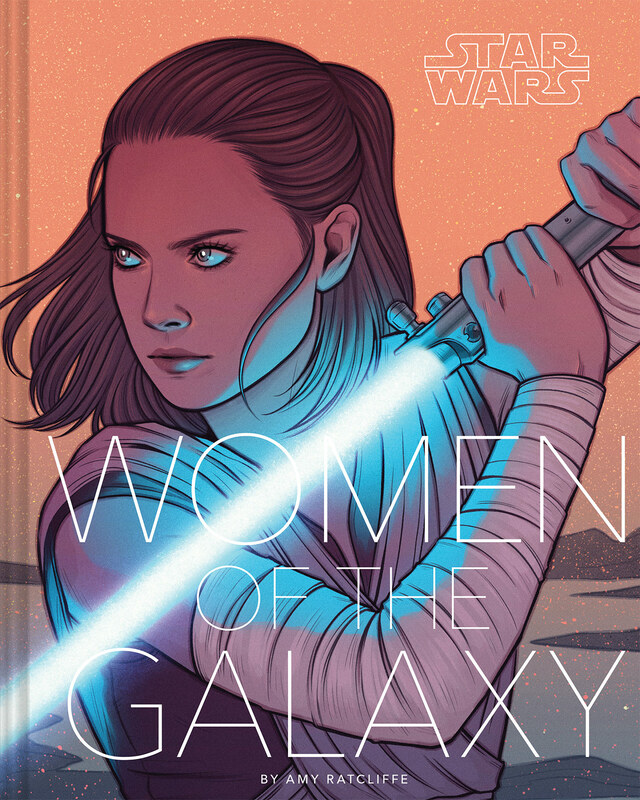 Queer Representation in Star Wars: More a Starting Point Than a Final Destination (Eleven-ThirtyEight) – Saf Davidson discusses queer representation in Star Wars canon, including mentions to E.K. 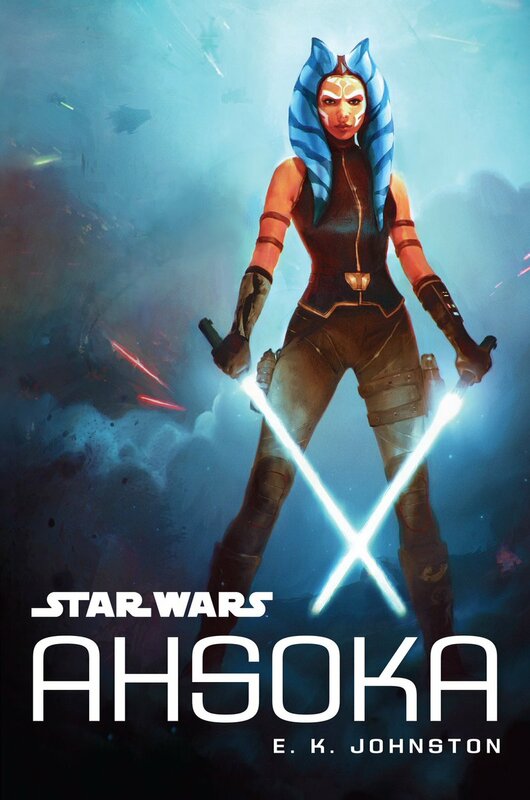 Johnston’s novel, Ahsoka. The Spark That Inspired Many: An Artistic Tribute to ‘Star Wars Rebels’ (The Wookiee Gunner) – Johnamarie Macias writes about one of the greatest collaborative art projects you will ever see and interviews each of the artists involved. Rebel Force Radio: October 27, 2017 (Rebel Force Radio) – The RFR team chat with Ashley Eckstein about Forces of Destiny, Rebels, and her contributions to the anthology, From a Certain Point of View. Ashley’s segment starts at around 33:50. The Last Padawan? (All Geeks Aside) – Host Teddie devotes an episode of his podcast series to our favourite Togruta Padawan. #ShareYourAhsokaCollection – Twitter user @AhsokaTanosLife called on fans to share photos of their collections. #RebelsPhotoChallenge – Star Wars Rebels fan @AmyWishman called on fans to take part in this 21-day challenge to celebrate the release of the show’s fourth (and final) season. Ahsoka Plushies – Check out these adorable Ahsoka Tano plush dolls made by Nite Owl Workshop. A work-in-progress photo can be found here. Ahsoka Tano Halloween Pumpkin – Fan @AveryKTano shares a picture of her Ahsoka-themed pumpkin carving. Ahsoka Tano ‘Imperial Assault’ Figure – @ronlonghi3 shows off the Ahsoka ‘Imperial Assault’ figure paint job. Ahsoka Tano Lekku Tutorial (Art) – Artist @itsizbo shares a simple tutorial for sketching Ahsoka’s lekku and montrals. Anakin and Ahsoka’s Unbreakable Bond – Youtuber CommanderWolffe explores the rise and fall of Ahsoka and Anakin’s friendship in this video. Custom Ahsoka Tano Shirt – Mediocred Jedi shows off his new custom-made Ahsoka Tano shirt. Star Wars Rebels Fan Poster – Artist Alex Fletcher shares their fan poster celebrating the final season of Star Wars Rebels. Looking for more articles, podcasts, and fan creations? You can find an archive of them in our Holocron Vault!